For all the talk of Yu Darvish’s career success at Minute Maid Park, he looked the part of an inexperienced pitcher in Game 3 of the World Series. 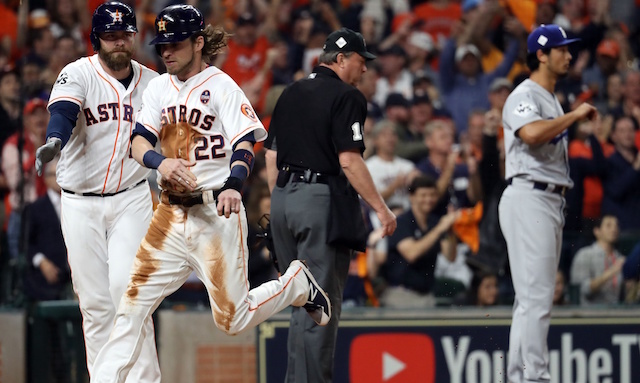 The Houston Astros pounded Darvish for four runs on six hits, including a home run, chased him in the second inning, and went on to take a 2-1 series lead. Darvish’s night began on an ominous note as George Springer led off the bottom of the first with a double. Though, Springer didn’t advance to third base until the second out, and he was stranded by Carlos Correa. 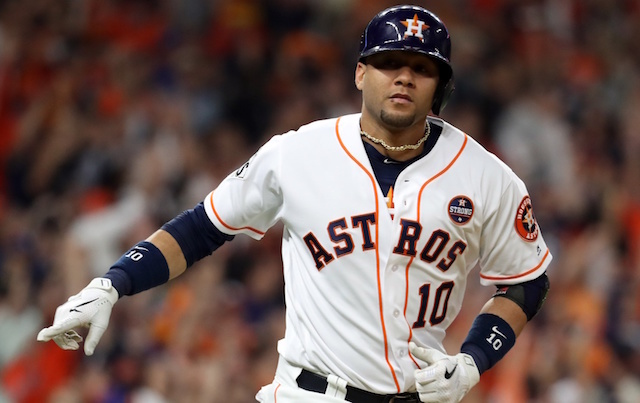 The floodgates opened in the second inning when Yulieski Gurriel led off with a line-drive home run into the Crawford Boxes in left field. Josh Reddick followed with a double, and Evan Gattis worked a walk. Marwin Gonzalez’s long single off the wall in left-center field scored a run, and Brian McCann’s RBI base hit extended the Astros’ lead to 3-0. Following a lineout, Alex Bregman’s sacrifice fly scored Gonzalez from third base, in part because Chris Taylor’s throw was off line. Darvish was removed after allowing a double to Jose Altuve. Of the Astros’ six hits against the right-hander, four went for extra bases. Pressed into a role he’s not filled since the postseason began, Kenta Maeda responded with 2.2 scoreless innings. He retired eight of 10 batters faced in what was his longest outing since throwing three innings on Sept. 21. The effort, however, proved futile. The Dodgers’ best look at the game came on the heels of falling into a 4-0 deficit. Lance McCullers Jr. suddenly lost his command and walked the bases loaded with nobody out in the third inning. Only one run came of it as Corey Seager hit into a 3-6-1 double play and Justin Turner grounded out. Yasiel Puig ran into an out in the fourth inning when he didn’t realize until late that a chopper to third base carried by Bregman and down the line. Puig ran through first base, hesitated, then broke for second base where he was thrown out. The Dodgers stranded Joc Pederson’s one-out double in the fifth inning, but managed to scratch in the sixth. After McCullers walked Seager, Turner’s double put two runners in scoring position. Brad Peacock entered with one out and allowed a run to score on Puig’s groundout. Turner then scored on Peacock’s wild pitch, cutting the Dodgers’ deficit to 5-3. The book on McCullers closed at 5.1 innings, with four hits allowed, three runs, four walks and three strikeouts. The Dodgers failed to consistently put together quality at-bats against McCullers, particularly Cody Bellinger who went 0-for-3 with three strikeouts. A throwing error and walk left Brandon Morrow in a jam with one out in the bottom of the sixth. He escaped trouble and kept the Dodgers in the game by striking out Altuve and Correa. Ross Stripling inherited a bases-loaded situation with two outs in the bottom of the seventh. Springer got ahead in the count, 2-0, fouled a pitch off, then drove a fastball to the wall in center field for the final out. 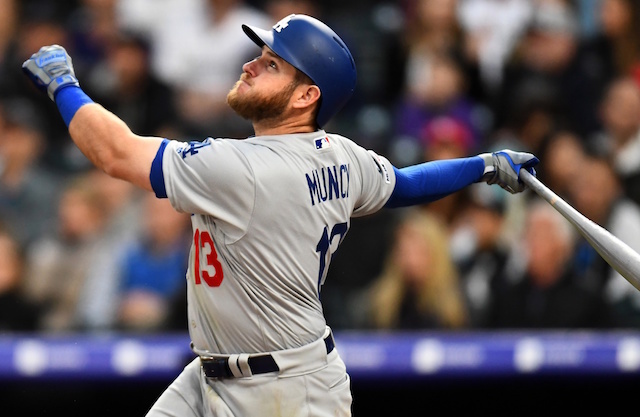 It wound up making little difference, with the Dodgers failing to pose any sort of threat over the final two innings. Taylor, Seager, Turner and Bellinger went a combined 1-for-14 with two walks and five strikeouts. Four of the strikeouts were by Bellinger, whose last came when he swung through a fastball to end the eighth. Peacock gave the Astros bullpen a night off by completing 3.2 hitless to earn his first career save in a 5-3 win.